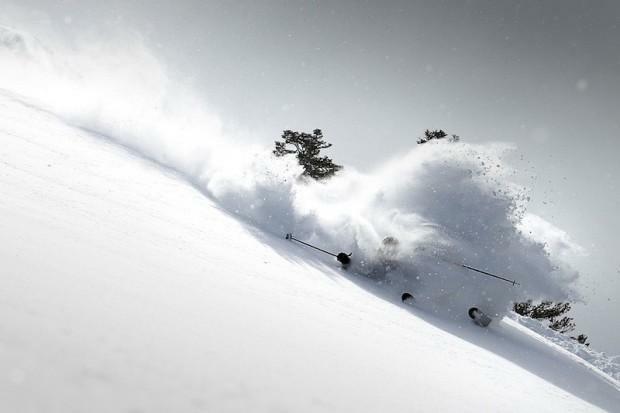 Could a “Miracle March” save Lake Tahoe, CA’s ski season this year? Yes, it’s entirely possible because it happened before in March, 1991. March, 1991 was the true “Miracle March”. It was the March that coined the term “Miracle March” and the March that saved Tahoe from a disastrous ski season. Could it happen again? You bet. Lake Orville, CA looking dramatically low at 49% of capacity in Sept. 1990. 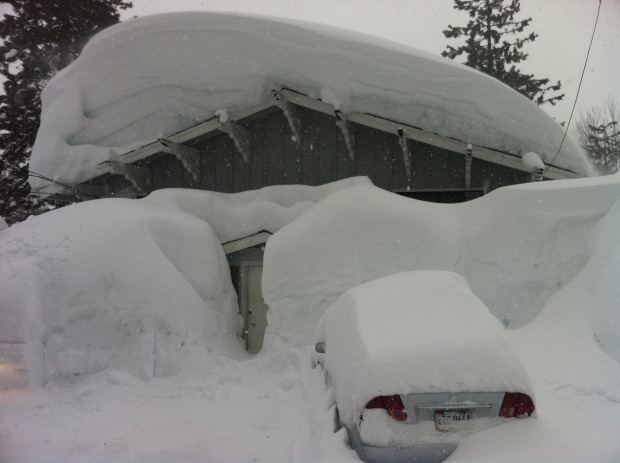 Then on March 1st, 1991, it started snowing and it didn’t stop until 50-inches of snow had fallen on Lake Tahoe. Skiers, farmers, and citizens rejoiced. But it was only the beginning. 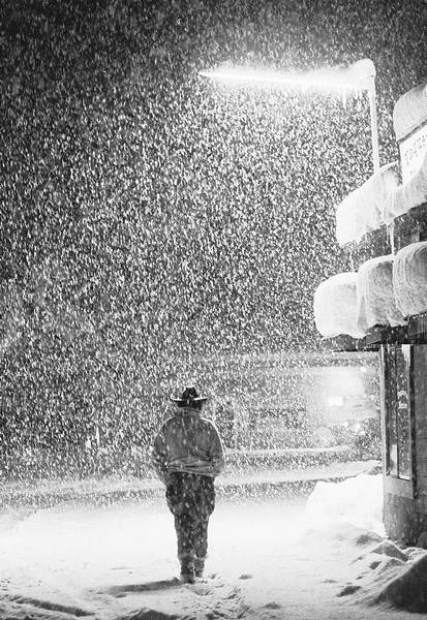 During the month of March, 240-inches of snow (20-feet) fell on Sugar Bowl ski resort and some areas of California received 250% of average March precipitation. Sugar Bowl averages 500-inches of snow annually. 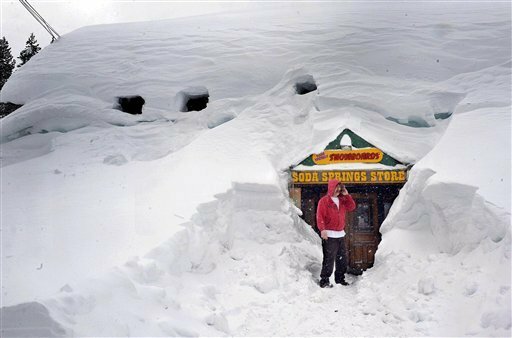 “Miracle March” brought Sugar Bowl approximately half of its annual snowfall and saved the 1991 ski season. Lake Tahoe’s snowpack went from 17% of average to 73% of average in just 29 days that March. 1991’s “Miracle March” provided nearly non-stop storms for its entirety. 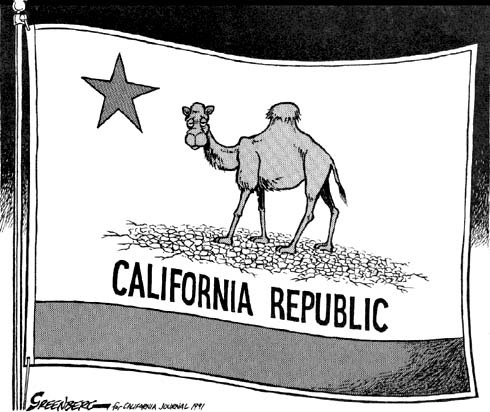 A cartoonist’s spoof on California’s state flag during the 1991 drought. 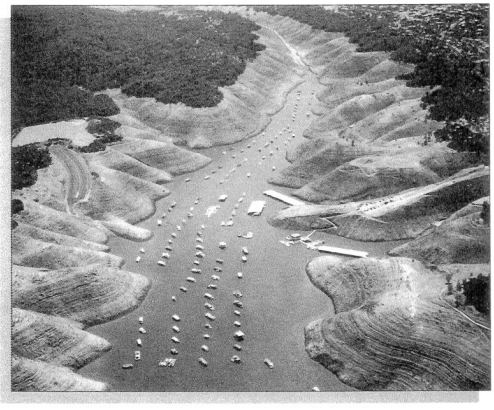 “Miracle March” 1991 did keep California out of a catastrophic water shortage, but it didn’t end the drought. That particular drought went from 1987 to 1994.